41" Overall with a 27" unsharpened, stainless blade and simulated temper. Wooden handle with a black cotton handle wrap. Black saya with a kanji carved into wood and cast metal fittings. 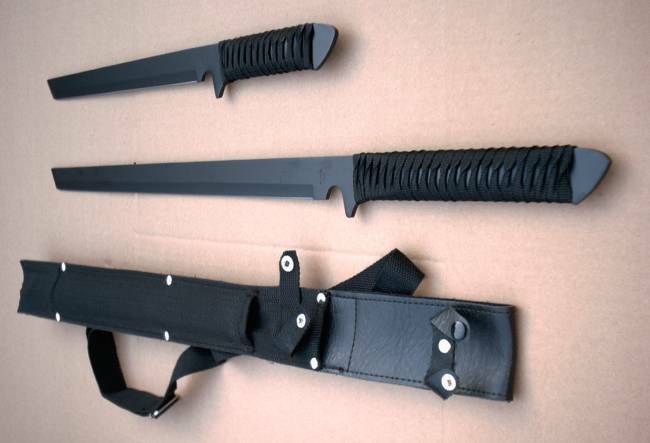 Nylon sheath with carry strap included. 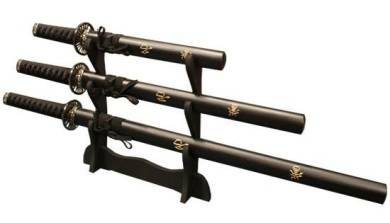 Well Made Set, includes kanji engraved wooden scabbards and Last Samurai style Tsuba, unsharpened, stainless blades with sim;uated temper and black cord handle wrap with cast metal fittings. 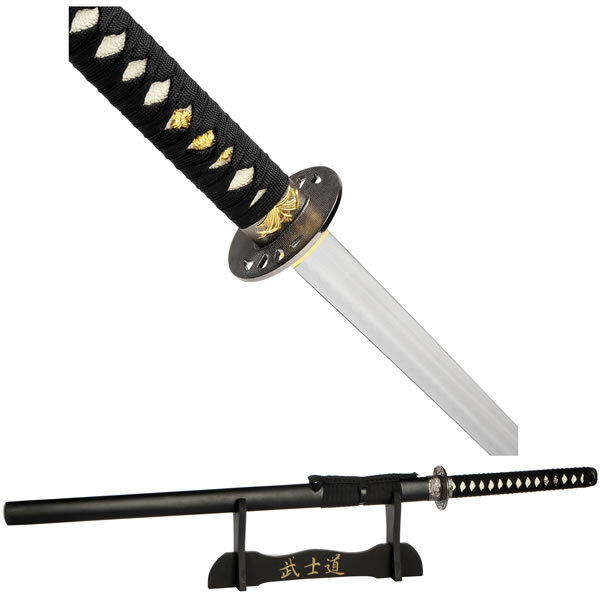 Katana measures 39" Overall, 24" Wakisashi and 19" Tanto. 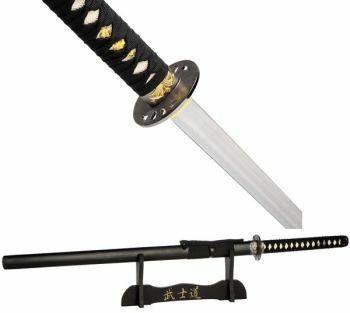 41" Overall with a 27"
sharpened, stainless blade with simulated temper, Wooden saya with lacquer finish, complete with table stand. 41" Overall with a 26" factory sharpened, double edged stainless blade with bohi. 11" dark purple cord wrapped handle (shows red in image but it is purple) with black faux rayskin and cast metal fittings. Dragon theme tsuba with two tone finish, wooden saya with black lacquer finish and red stripes, nice item. 38" Overall with a 26" unsharpened, carbon steel blade. Cast metal tsuba and furniture with a blackened finish. Imitation red rayskin and black braid ito. 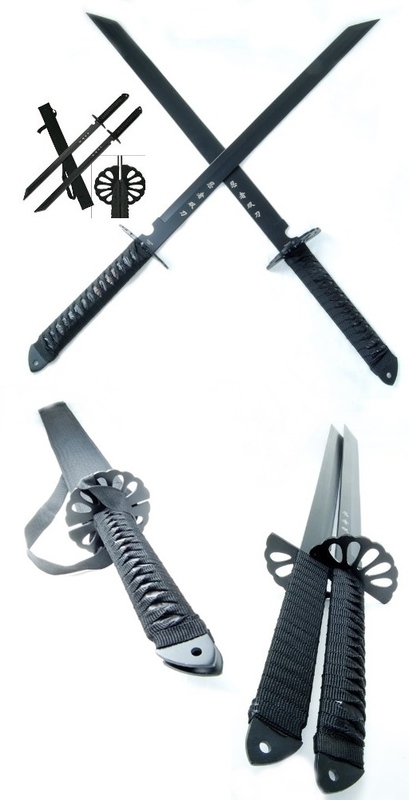 Wooden saya with black finish, handle pommel is finished with a black metal chain.